FLORIDA ENGINES & MACHINERY now offers a complete line of AUTOPARTS, all in one stop. Contact us and let us know your needs and a FEM representative will contact you! 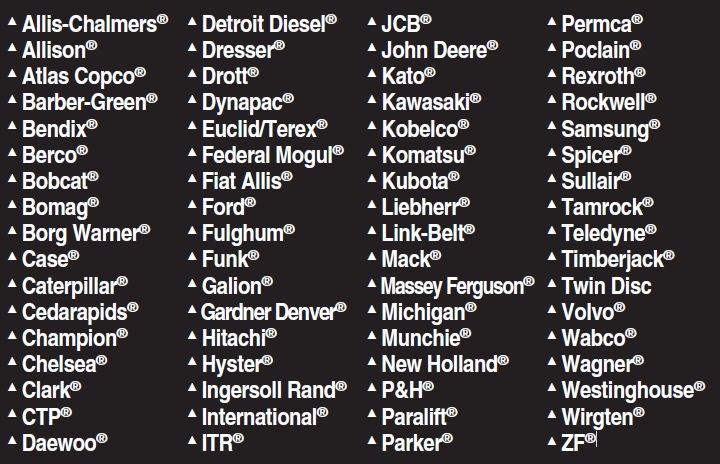 Florida Engines carries a full line of Heavy Equipment Parts at OEM standards to meet all your requirements. We also carry Surplus Inventory, Used Engines, Components, Machinery and a full Autoparts line. With 24-hour emergency parts availability, we are proud to have 99% access to most parts either from our warehouses in Florida or directly from factory. Our emergency shipping team is trained to handle EMERGENCIES ONLY and will get your parts shipped the same day.